QuickBooks Online – Cloud Accounting Now! Have you heard about the biggest change to small business accounting? Many local Pickering, Ontario businesses have already moved to it! It’s called QuickBooks Online and it’s changing how many businesses manage their accounting in Pickering. Do you wish that you, your accountant, your bookkeeper, and your partner could all see the same numbers all the time? Do you want to be able to create, edit and send invoices from your phone? Do you want to be able to access your books from anywhere? Do you want seamless backups and data security? Do you wish your bank account transactions would automatically download and remember where you booked them last time? Do you want simple automated reports available to you anywhere? Well QuickBooks Online is here. 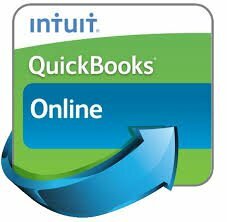 QuickBooks Online or “QBO” as we’re calling it is an online or app based program. That means the program runs in the cloud and you use an app or browser to access your accounting data anywhere. Your company’s books are available on your computer, tablet and smartphone. If you’re in front of a customer and you need to make changes or produce an invoice, you can do it immediately and email a copy to the client right away. Want to know if your client’s payments are up to date? Check on your phone and ask the client for a cheque. QBO can be accessed by multiple users all working off the same dataset. No more sending back up or accountant’s copies. Everyone works on the same company file all the time. You and your accountant can see the same numbers in real time. That means no more problems with versions or pushing adjustments back and forth. QBO has a new feature which downloads your bank transactions nightly. No more having to remember to download them. In the case of my bank, download were only available for six months. QBO will remember that your last payment to your subcontractor went to Cost of Goods Sold and will automatically handle the HST. This means less data entry for you and your accountant saving you money. Unlike the desktop version, QuickBooks Online doesn’t require an upfront cost. QBO bills you monthly. QuickBooks is currently offering substantial discounts for new users and users migrating to QBO. At the time of writing, costs of purchasing the desktop software outright and paying monthly are roughly the same. As a bonus, payroll subscriptions are currently included in the monthly QBO costs but this may change. It should be noted that QBO is online, so access to your data is dependent on having internet; speed of entry will depend on your internet speeds. For heavy data entry users, the desktop version may be a smarter bet. As a catalyst, QBO has a desktop app which is available for Windows and Macs which enables QBO to access your data without having to load each web page. You can achieve desktop speed from an online app. By using Ctrl –click you can open multiple pages from the same data file. For those moving towards the paperless office, QBO offers the option to take photos of your receipts and have them uploaded into QBO. QBO also offers integration with third party apps such a TSheets and Jobber – there are pages and pages of apps for you to explore from receivables management to CRM. QBO can be accessed by multiple users all working off the same dataset. No more sending back up or accountant’s copies. Everyone works on the same company file all the time. You and your CFO can have real time discussions based on the same reports. Our business clients in Pickering love using QuickBooks on line! 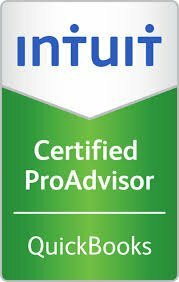 We’re QuickBooks Online ProAdvisors right here in Pickering. If you’re thinking about moving online, don’t hesitate to contact us to see if QuickBooks Online is right for your Pickering business. Be sure to read our Pickering Business Tips article and for more information on our cloud accounting services visit our Cloud Accounting page.